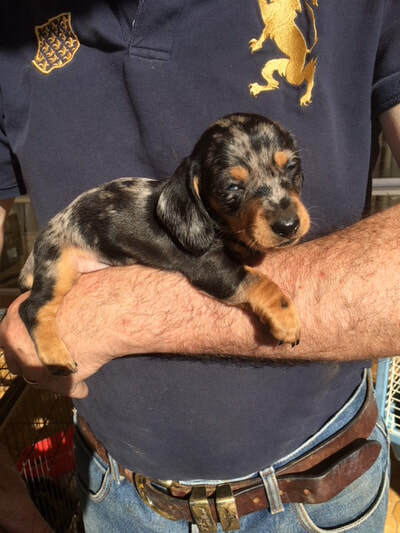 Congratulations on finding your way to look at our gorgeous puppies. 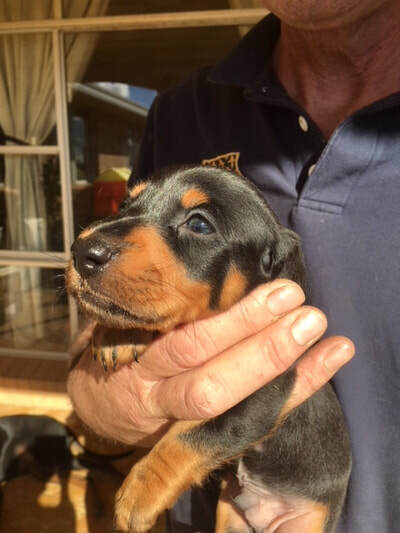 Please read our information below the list of available puppies. We are registered members of The Master Dog Breeders Association of Australia. 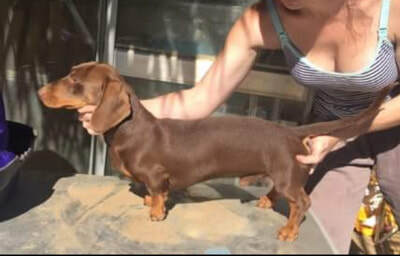 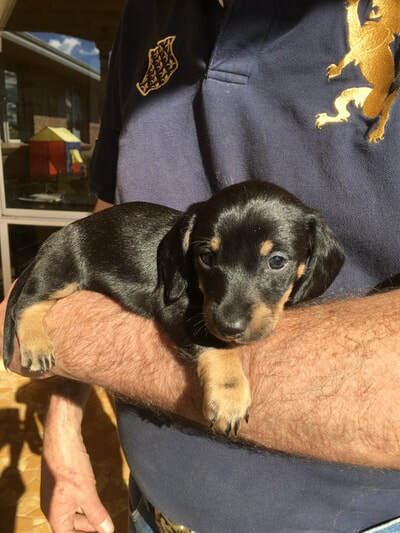 Our puppies are miniature dachshunds. 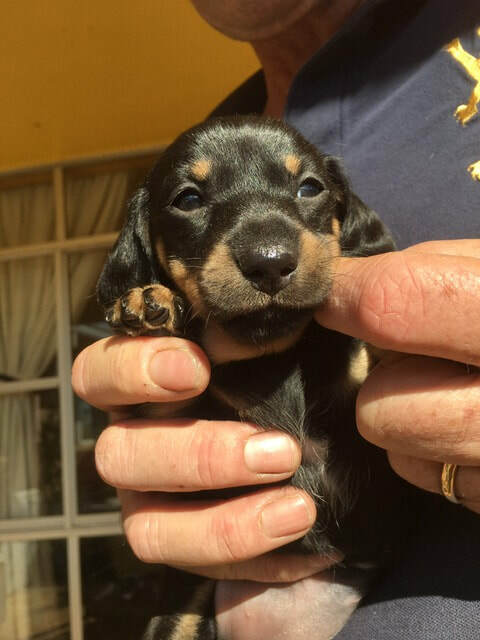 They are born and raised indoors in our home with lots of love and cuddles, regular worming, nail trims and great super premium food. 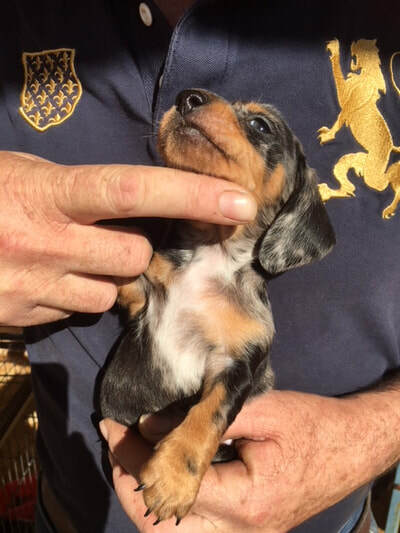 Most pups are $1,600.00 - $2,200.00 each. Our dogs have wonderful temperaments, they are purebred, not registered. 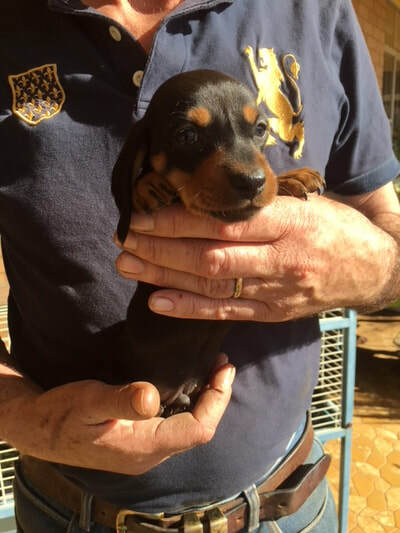 Many people who buy one of our pups recommend us to their friends and many have bought second and even third pups over the years. 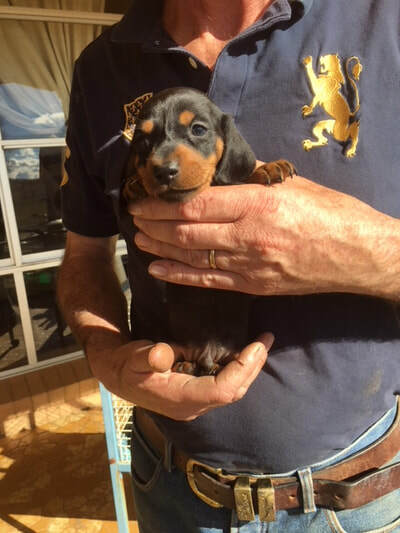 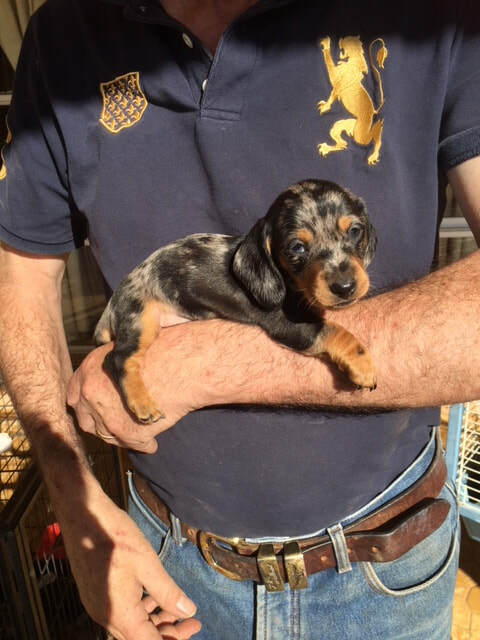 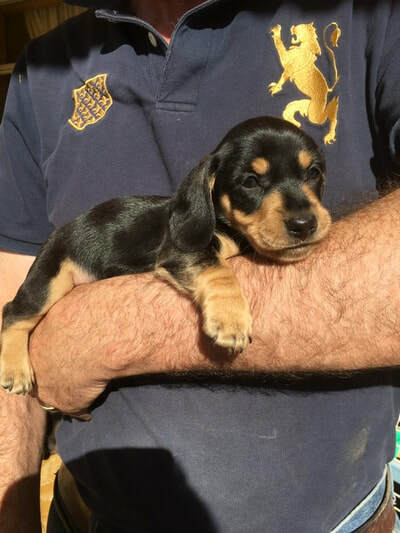 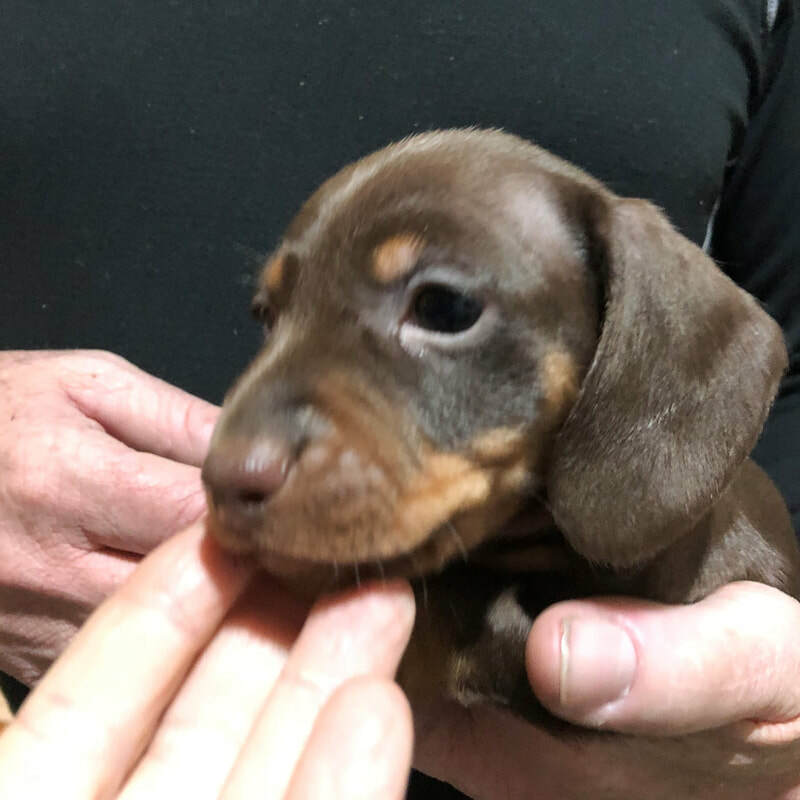 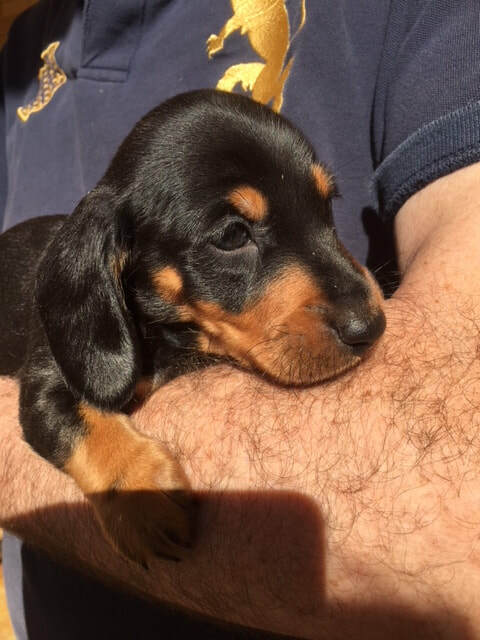 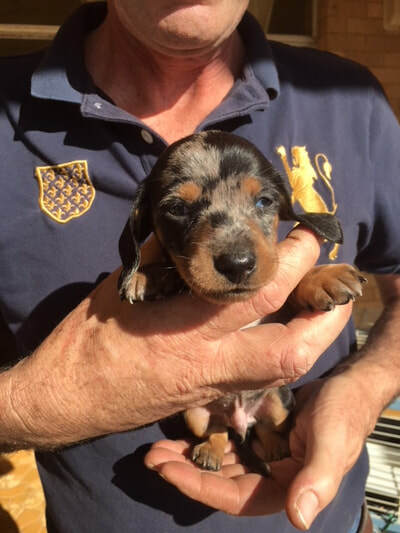 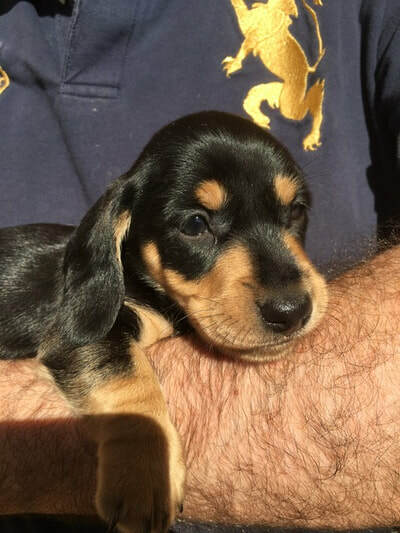 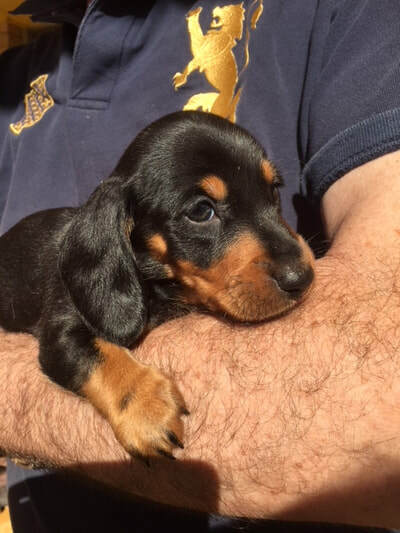 Our lovely dachshund puppies are ready to go at a minimum of 8 weeks old. At this time they have been vet checked, microchipped and vaccinated.. They are wormed regularly. 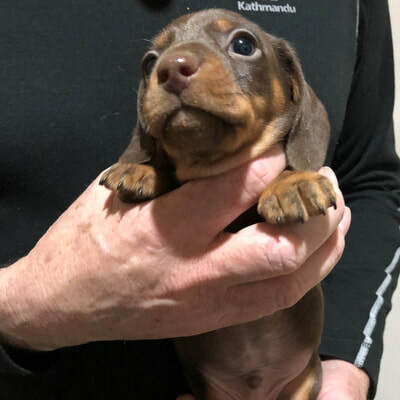 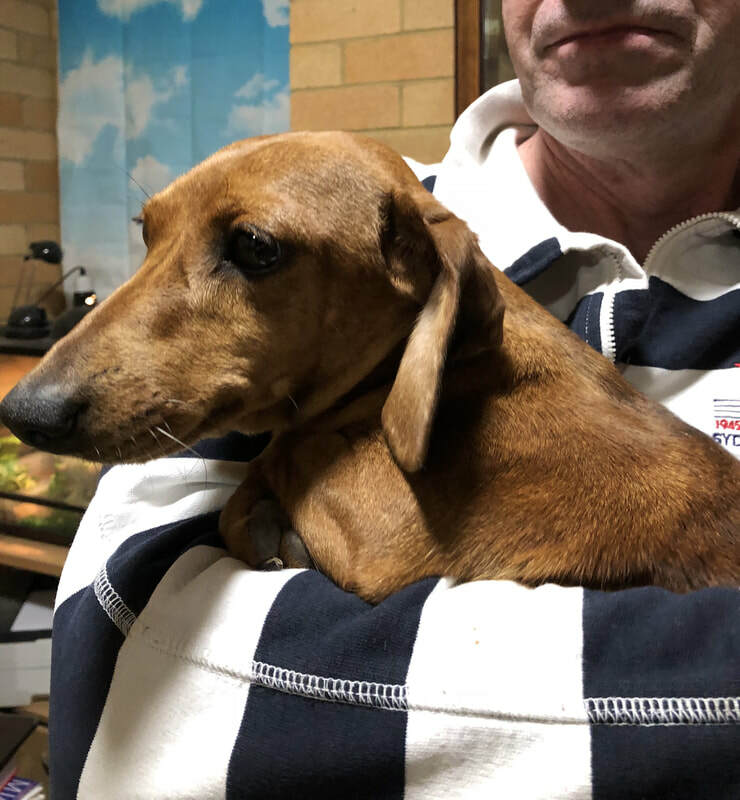 We do sometimes keep our babies a bit longer in order for their vaccinations to provide better protection against potentially fatal diseases such as parvovirus. Our babies leave for their new homes with their vaccination passports, microchip papers transferred into the buyers name and 6 weeks free pet insurance by Petplan. If you collect your pup you receive a puppy pack but we are not allowed to put these into the crates if your pup is flying. 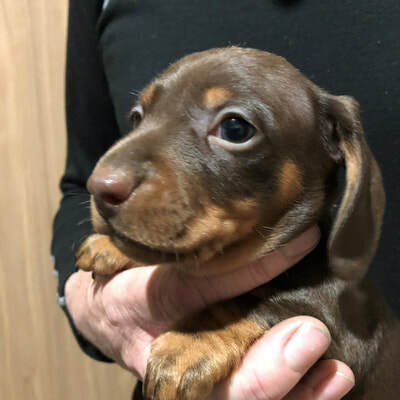 We strongly recommend you keep up your pet insurance as accidents do happen and vet bills are getting more costly all the time. 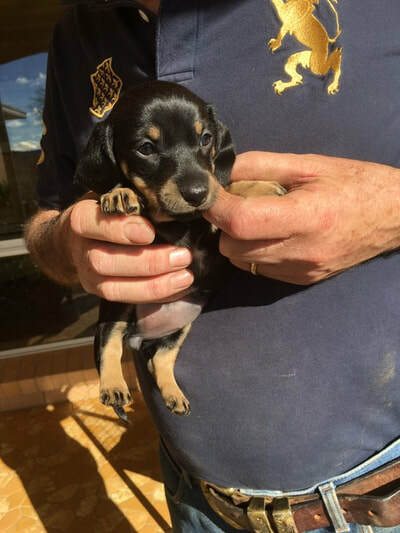 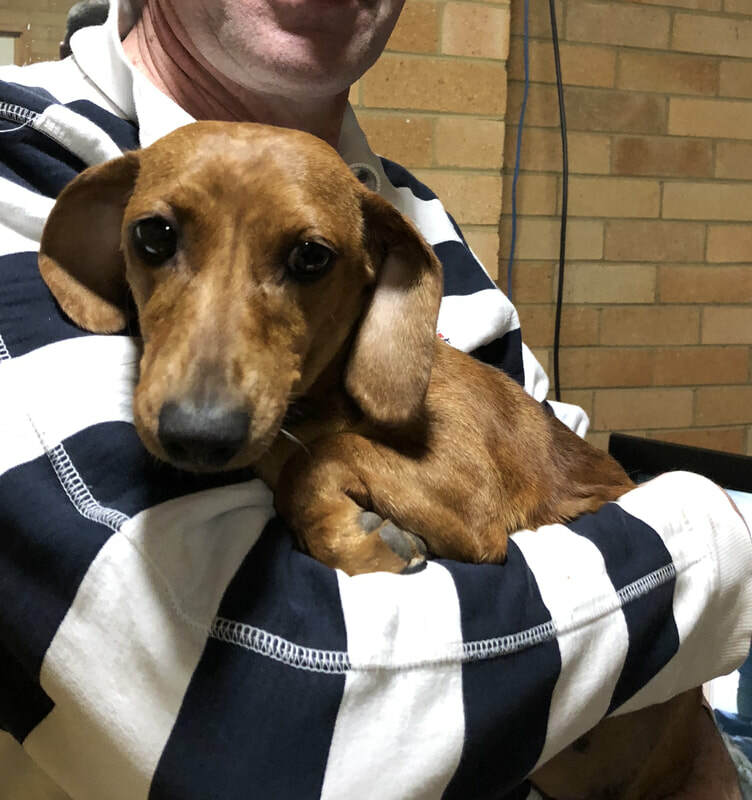 Pups going interstate may be held a week or two longer. 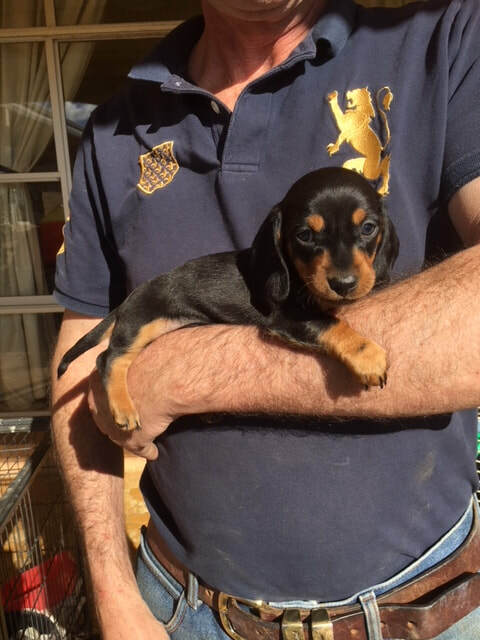 We DO NOT sell puppies overseas or to pet shops so please don't ask. We are always happy to help organise interstate flights. A new crate provided by us is $50.00, which you get to keep, and flights are about $130.00 - $250.00 depending on where in Australia your pup is flying. 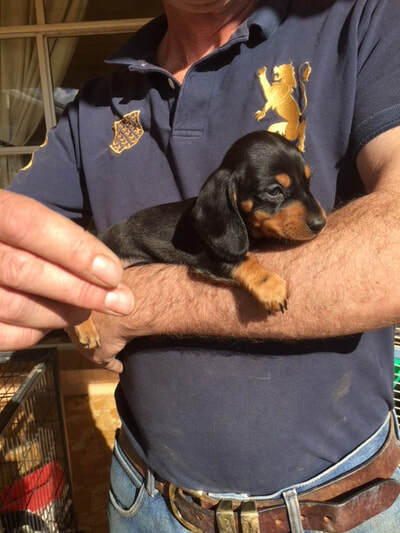 We are happy to get a transport quote for you and you can then pay the transport company directly. 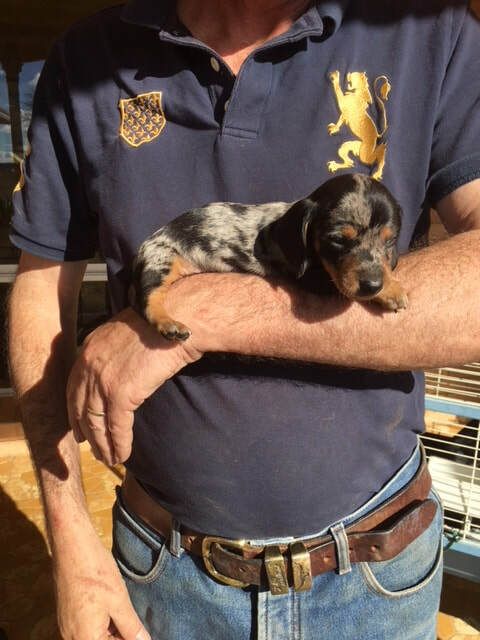 We require a $200.00 deposit once you have selected your puppy. 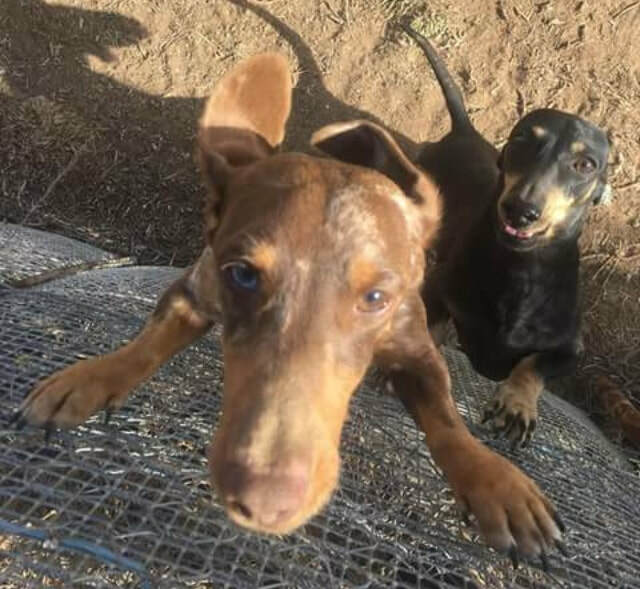 The balance is due at collection, or, if your pup is flying , the funds must be deposited and cleared prior to transport. 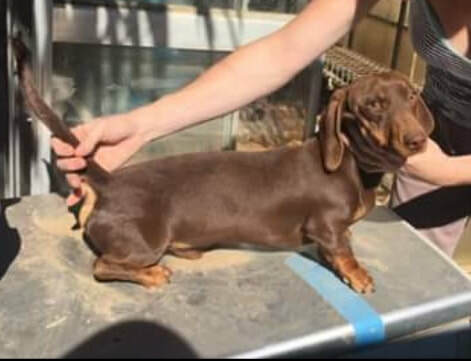 If you would like to see how to make "no sew" coats for your dachshund very cheaply , please go to the bottom of our sphynx page for the video. 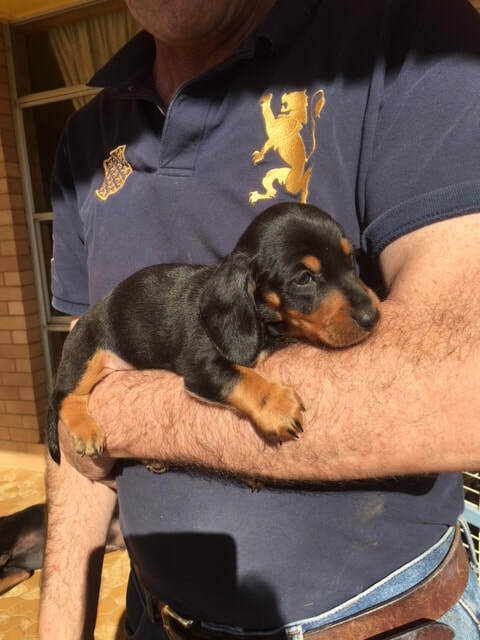 He has a super temperament and loves lying around with his doberman friend "Hugo"
​She has just had her first litter by Klaus. 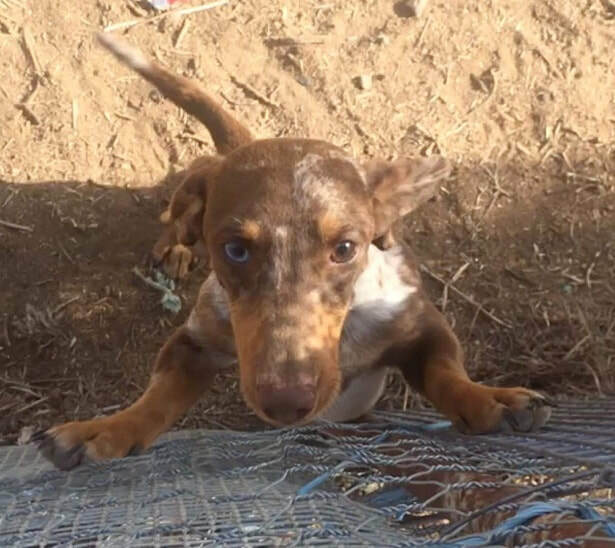 She is a red dapple.